14ft Green frame pad for round trampolines of 4.30 m in diameter. Is your trampoline's frame pad damaged? This model can replace it to ensure maximum security. 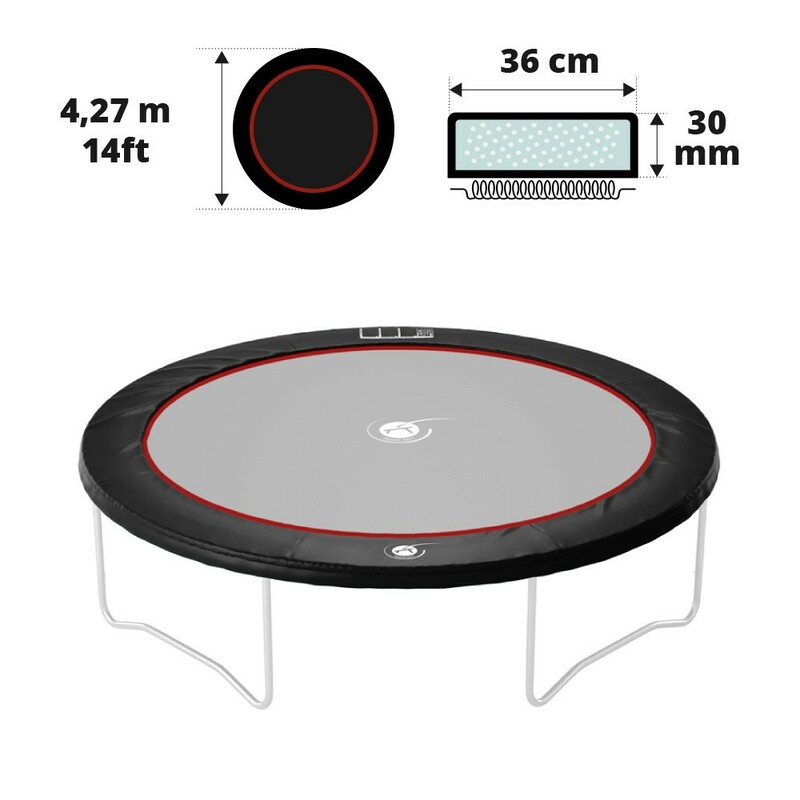 It comes in black and is suitable for round trampolines with a 4.3m diameter, whatever the brand! Shipping starting at 6.99€ in France*. Shipped within 24h if ordered before 11 am. Delivery options: DPD, Colissimo et Chronopost. - For round trampolines with a 4.27m diameter: equipped with 230mm long springs (hook to hook). This frame pad originally comes with our 14ft. Black Booster 430 trampoline. - 30mm of foam: will break your fall in the event of a poor landing. - Large width: The cushion fully covers the trampoline springs. There is nothing uncovered so there is no risk for jumpers to get their feet caught in the springs. - Easy installation: the frame pad is fixed with elastics cords. All you need to do is put the cord around the trampoline framework. - In black: to give a sporty design to your trampoline.